Jamie C. Adams joined Mspark in October 2016 as Chief Information Officer with responsibility for the Company’s Information Technology (IT) group, including application development, business intelligence, and IT operations, as well as the ongoing development and implementation of strategic IT plans and programs. Jamie has 17 years of experience in leveraging technology to grow business results. Prior to Mspark, she was Chief Information Officer at The Cliffs, a private equity-backed company sponsored by Arendale Holdings Corp., a diversified real estate investment and development organization. 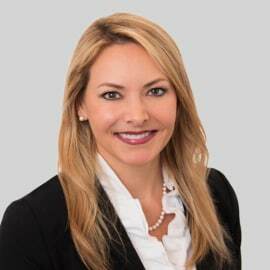 Jamie began her career at Michelin Corp. (NYSE Euronext:  ML), Greenville, S.C., where she spent 12 years in various roles of increasing responsibility culminating in Director, Software Product Management – Michelin Retread Technologies. As part of the executive teams at The Cliffs and Michelin Corp., Jamie led the development of strategies and programs to transform IT from merely a support function to a business partner, which involved creating business value, navigating business change, optimizing IT investments, transforming IT capabilities, and delivering technology with confidence to protect the business and minimize disruption impact. Jamie was recognized by IDG/Computerworld as a “2016 Premier 100 IT Leader” as part of their Premier 100 Awards Program showcasing the strategic thinking of an elite group of technology leaders who utilize technology in innovative ways to achieve the mission and vision of the organizations for which they work. She holds an MBA from the University of Alabama, Tuscaloosa, Ala., and a bachelor’s degree in business administration from University of Georgia, Athens, Ga.